94 Commercial Real Estate and Properties in Victoria Country North are listed in 8 categories. We have 27 Offices for Sale , 24 Development Lands for Sale , 18 Retail Shops for Sale , 15 Industrial Warehouses for Sale , 7 Hotels and Leisure for Sale and 1 Showrooms for Sale . Rarely does an opportunity present with so much scope and potential, with 2727.5 sq m of prime land right in the heart of Horsham with main road frontage. Warehouse 1A Floor Area: 634sqm currently occupied by Samios Plumbing, Warehouse 1B Floor Area 562 sqm currently occupied by McAlpine Smash Repairs with a combined rental income of $83,150.64 pa plus GST & tenants paying all outgoings. The property currently has 6 titles and 3 street frontages. 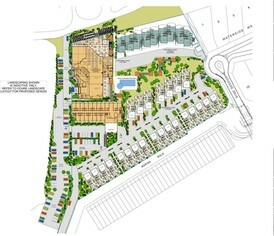 Brilliant Investment property, but could also suit an Owner Occupier or Commercial Property Developer. Call Nola on 0418 504 855 for full details. 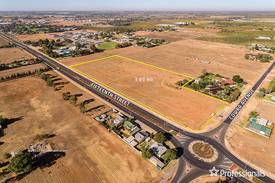 5 x Prime Commercial sites Highly sought after growth corridor Thousands of passing vehicles daily Perfect business opportunities STCA Develop now or secure for later development Over 6000m2 alottments Situated across the road from the Irymple Primary school on 15th Street. Two shops on one title Building Areas 145sqm 240sqm (Total 385sqm) Both have Kitchenette, toilet office space Ideal location close to Westpac other national tenants High foot traffic area Suit owner occupier and or investors Rare opportunity and an inspection will surprise. An outstanding opportunity to acquire a large freehold hotel fully leased and showing excellent returns. 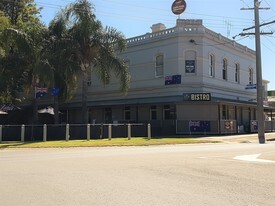 The hotel comprises 100 seat bistro, 45 seat function room, large bar, drive through bottle shop, 2 self contained family sized apartments, 22 accommodation rooms and large outdoor beer garden. Currently returning $95,000 per annum nett. Ideal for investors. There has never been a better time to invest with the lowest % rates in Australian history. For more details, please contact Tony Roccisano on 0418 502 101. Net Profit On request Sales Revenue On request Sale Price On request After 6 rewarding years vendor retirement creates an outstanding opportunity to acquire this popular and profitable motel. 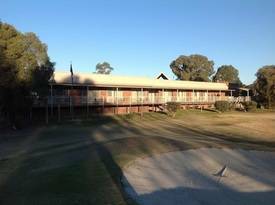 The motel is picturesquely located on the Victoria New South Wales border overlooking a delightful and popular Murray River golf course. If you are looking for high income with time to enjoy your sport and recreational activities, in an environment that can only be described as unique, then this is your dream come true. The motel is a popular holiday destination for visitors seeking a relaxing and tranquil environment with golf, fishing, bush walking, wineries and riverside parks that are all constantly attracting golf package groups, families, and repeat holiday travellers. We are adjacent to a modern and large sporting club which has lawn bowling greens, lawn tennis courts, and full dining facilities. This provides a perfect connection to the motel that enables guests to further luxuriate and holiday in these peaceful surrounds. A growing presence of business/trade reservations from a vibrant and growing agricultural area provides a constant flow of repeat workers and all factors combine to ensure continuance of high occupancy and profitability of this highly recommended motel. This single storey motel consists of 20 well kept, comfortably appointed ground floor rooms offering a popular choice of room styles. Comprising 14 Deluxe Rooms that include 5 Queen Rooms, 4 Twin Rooms, 2 family suites, 1 two bedroom apartment/suite, 2 Spa Rooms, plus 6 standard Queen/Twin rooms to cater for most guest requests. There is an external balcony to all units plus an al fresco breakfast/BBQ dining area that overlooks a golf course vista surrounded by magnificent gum trees that further complements the ambience of this motel. The owner's residence consists of a comfortable and spacious 14 sq home with 3 bedrooms, 2 living rooms, kitchen and 2 bathrooms, all adding to the ease of living in this lifestyle environment. 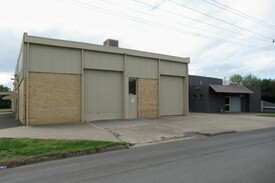 An adjoining reception/office plus a commercial laundry further benefits the business operation. A sparkling salt watered swimming pool, entertaining and barbecue area are added features of this lifestyle property. FEATURES OF THIS EXCEPTIONAL BUSINESS INCLUDE: Well established business with over 6 years successful operation by current vendor Excellent 3 bedroom owner residence Long lease with full 27 years remaining at industry based rental Low maintenance structure Room configurations providing flexibility for most guest needs Consistent accommodation income increasing annually with high profit margin Sale Price represents industry based calculation with the added bonus of a delightful residence, living surrounds and enviable lifestyle Motel kitchen fully equipped with all commercial appliances Manual Booking System, owned phone system, plus online presence and enquiries facilities Double brick motel construction with gravel/stone driveway and parking Onsite Commercial laundry facilities with linen beds and bedding in excellent condition Adjacent on site parking allowing for large vehicles, boat trailer and tourist coaches Solar Power System to support power usage to all units BANK FINANCE is available to approved purchaser This is a unique opportunity to acquire a highly profitable motel and a very rewarding lifestyle. For more information on this outstanding opportunity including financial details please contact VENDOR DIRECT as detailed.